How can you not love a motorcycle brand called Speedy Working Motors? 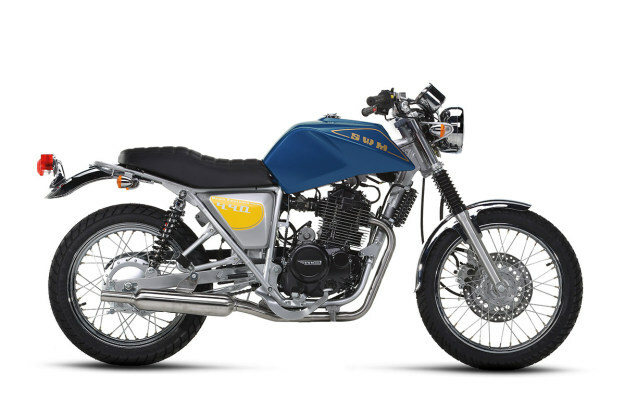 It might sound like a slogan on a Japanese t-shirt, but SWM is actually an Italian marque with a solid history going back to 1971. 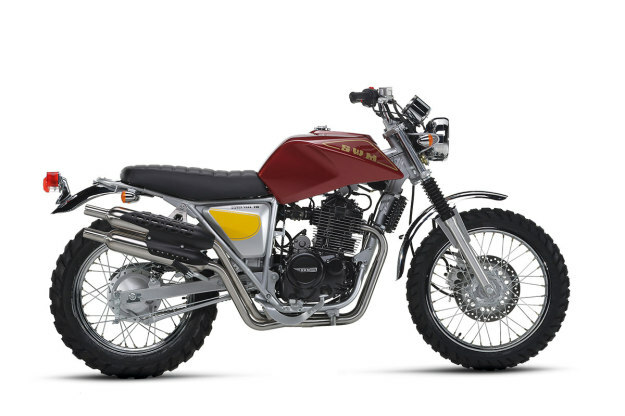 SWM went bust in 1984, but the company is now back with a bang: six new models are slated for production, starting in September 2015. And despite being production bikes, four of the new models slot perfectly into the current custom scene zeitgeist. The driving force behind the new SWM motos is Ampelio Macchi, an engineer whose CV includes stints with Aprilia, Cagiva and Husqvarna. He’s secured backing from the giant Chinese powersports manufacturer Shineray, which has over 100 motorcycles and ATVs in its catalog and exports to 86 countries worldwide. 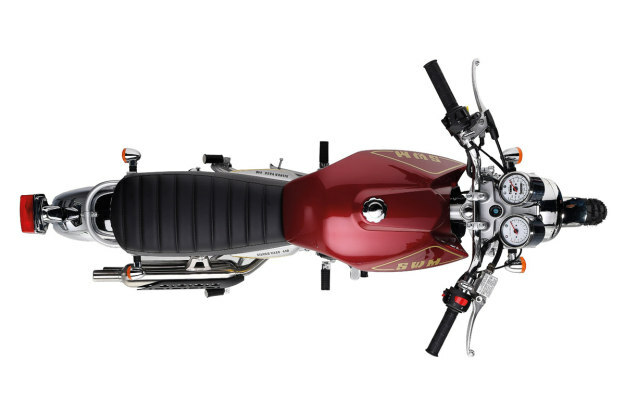 Our favorite is the Silver Vase model (top and above), a scrambler with a nod to SWM’s successes in the ISDT. 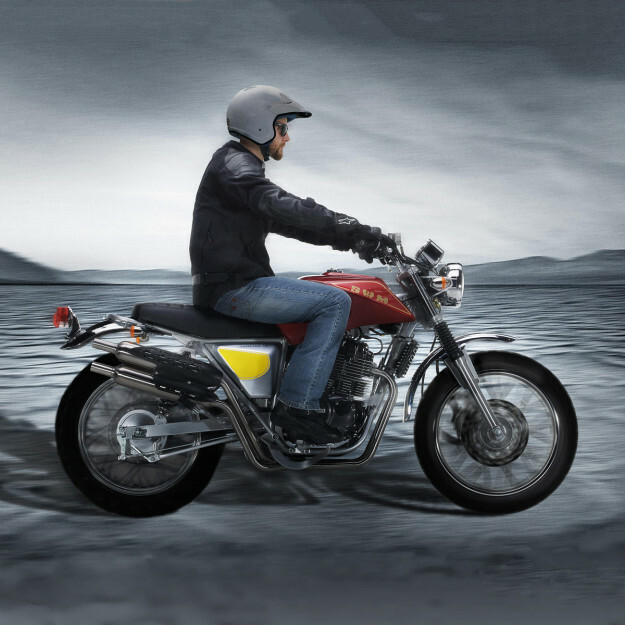 The engine is a 435cc air-cooled single, the frame is a classic double-cradle design, and dry weight is an admirable 150 kg. (Probably just as well, since the rear brake is a drum.) Wheels are 19” at the front and 18” at the back, and shod with Metzeler Karoo 3 tires. 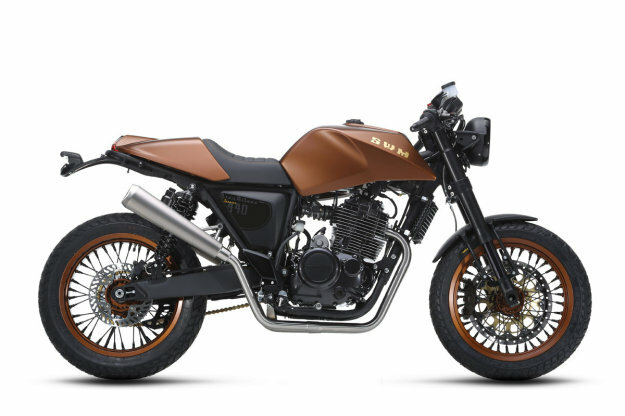 The Gran Turismo 440 (above and below) is a classic ‘naked,’ with a low slung exhaust system, a stepped seat, and road-oriented Pirelli MT90 rubber. Like the Silver Vase, it’s sporting a trapezoidal tank and fits the SWM ethic of “clean, flowing and light” design. 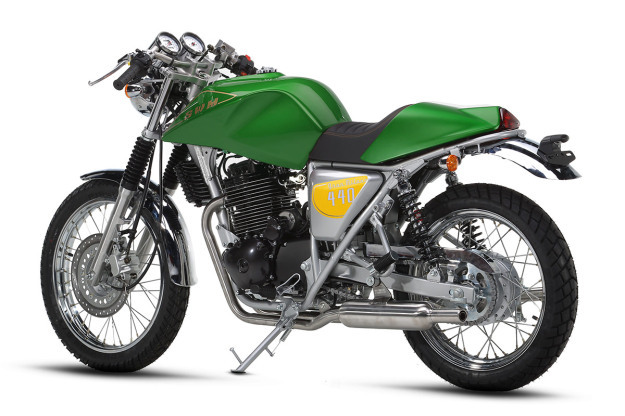 The Gran Milano 440 (below) has more of a British café racer vibe. There’s a solo seat, and the elongated tail unit is vaguely remiscent of Norton’s early 70s Fastback design. To our eyes it’s the least successful variant, although it has a certain gawky charm. 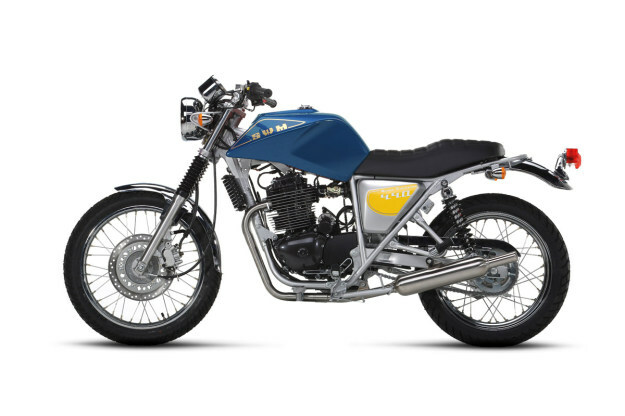 The Gran Milano 440 Special (below) ditches the retro vibe and switches to light alloy 17” rims and Pirelli MT60 RS rubber. There are disc brakes all round and fully adjustable USD forks. Dry weight drops to 145 kg (330 pounds). The new SWMs will be built in Lombardy, and will feature six-speed transmissions, fuel injection and electronic ignition. The engines are reportedly Husqvarna designs, from the pre-KTM era. The bottom line is that Shineray provides the cash, while Macchi comes up with the goods. And these goods look mighty fine. Pricing is yet to be confirmed, but we’re likely looking at between 5,000 and 6,000 euro—which is US$6,250 to US$7,500. The European markets will get the machines first, closely followed by Australia and the South American countries—which share similar homologation standards. After that, SWM will tackle Asia and North America. On paper, it looks very promising. And reaction at the EICMA show earlier this month was overwhelmingly positive. Sig. Ampelio Macchi, we wish you the best of luck.